This past Monday, I began my first REAL job. It’s been a whirlwind of a week, I come home positively exhausted, go to sleep, get up the next morning and do it all again. I know there are many people who’ve got years and years of this kind of life under their belts, but as a young and active individual, it’s quite the adjustment. However, I’m extremely lucky to be starting this job with 60 peers, all my age, in my position, and all thrilled to have a job but not completely ready to be grown-ups just yet. It’s been great getting to know everyone, in the midst of giving my life away to the working world. ANYWAY, last weekend we had a picnic for our new “class” (all of the new hires), and we each had to bring a dish to share. I love having occasions that I have to make something for, because it’s the perfect excuse to make something. I’d had some candy bars in my pantry for a while, so I decided to make a brownie recipe with candy bars chopped up and tossed in. Genius idea, I’ll tell you. 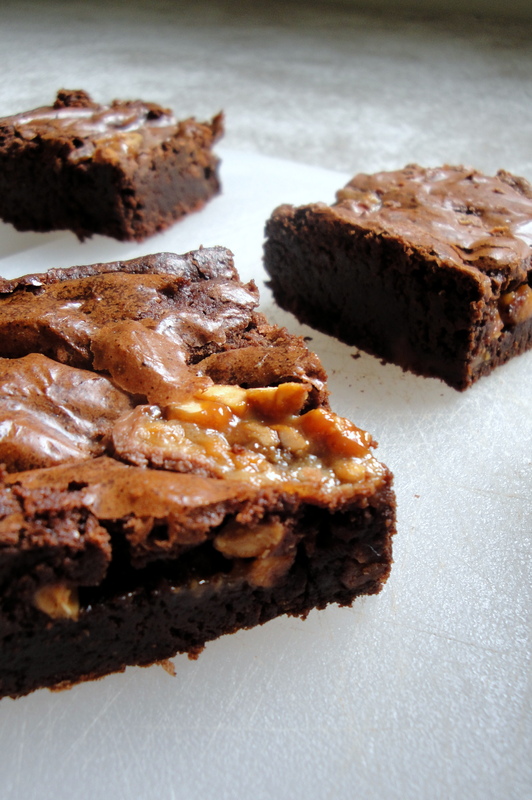 Brownies are always a good idea anyway, but throw in some chewy, gooey, and crunchy candy bars, and they are out of this world. I had a couple of Snickers, and a couple of Milky Way bars, SO GOOD! 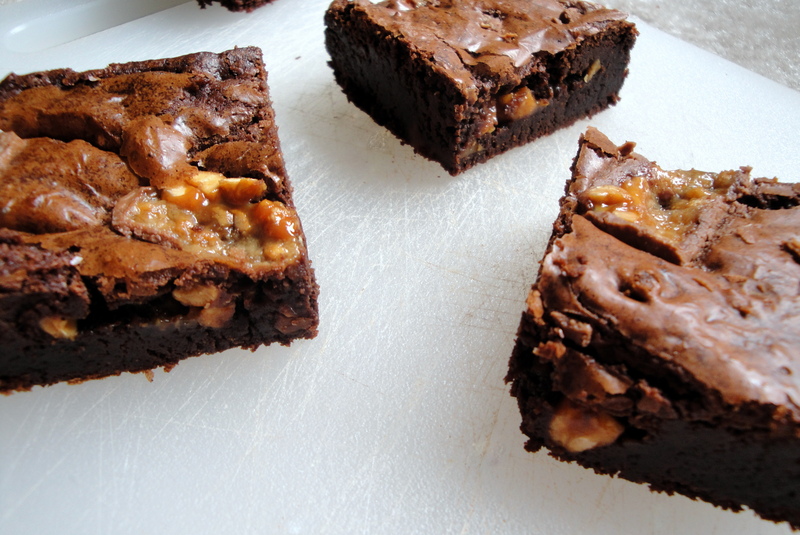 I used a recipe for Twix Bar Brownies from Recipe Girl, adapted from one of my favorite Ina Garten recipes. I changed it around a bit to accommodate a different size pan, and they came out beautifully. 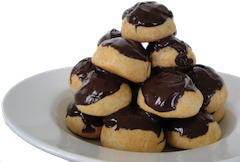 (The adapted recipe is below, if you want the original follow the link above.) 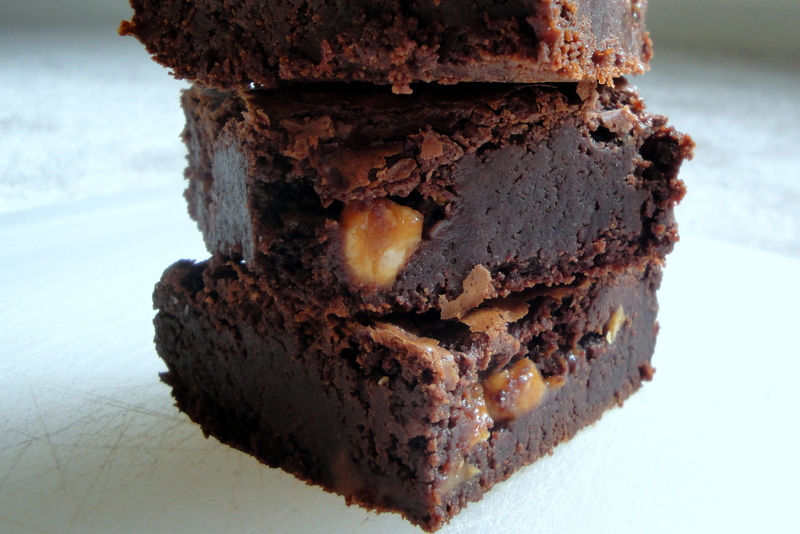 I’m not sure how you like your brownies, but (as I’ve probably mentioned before) I like my brownies chewy and soft, with a crispy layer on the top. I don’t like cakey brownies, and they can’t be dry. Well, these brownies were very nearly perfect! They were super fudgy, and just so delicious. Go make them NOW! 1) Preheat oven to 350°F. Butter and flour 9 x 13 inch pan. Grease pan well, or line with aluminum foil or parchment paper to help you remove them once cooled. Make sure you grease the foil/paper too! 2) In medium, heatproof bowl set over a saucepan of simmering water, heat butter and chocolates until melted and smooth; cool slightly. 3) In a large bowl, whisk together the eggs, espresso powder, vanilla and sugar. Stir the cooled chocolate mixture slowly into the egg mixture until completely incorporated. Cool to room temperature. 4) In a medium bowl, sift together flour, baking powder, and salt; add to batter. Chop up 3 of the candy bars into bite-size pieces, and stir them into the chocolate mixture. Pour batter into prepared baking pan and smooth top with a rubber spatula. Place slices of the last candy bar onto the top of the batter. 5) Bake for 25 to 35 minutes, or until toothpick inserted in center comes out clean (or with a few crumbs attached); do not overbake! They will be fudgy, but don’t let it fool you into thinking they’re not cooked through! Let cool completely, then cover tightly and chill overnight. 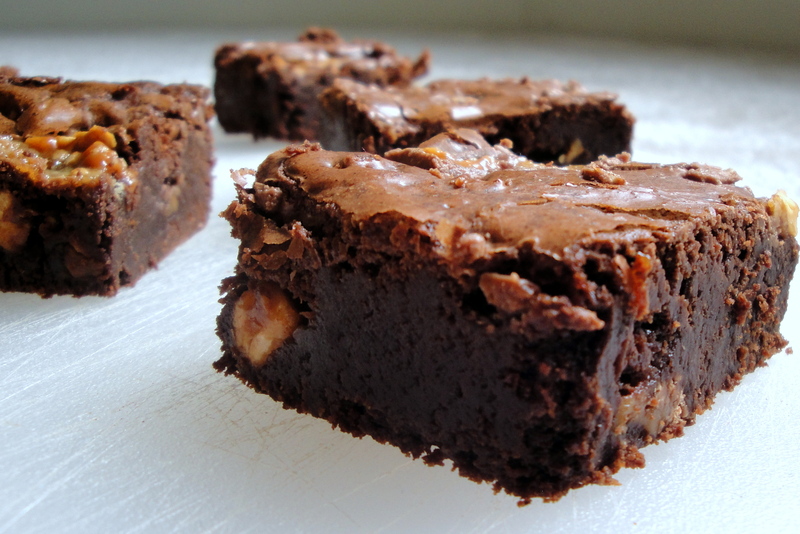 Chilled brownies are easier to cut — I had to serve mine about an hour after baking them, and they crumbled when cut. Sometimes though, they are just so hard to resist! So hopefully at this point, I don’t need to tell you anymore how wonderful these are and how you should go out and make them right away, but I will. DO IT! You won’t be sorry. And neither will all of the people who get to enjoy them. Wowza. I’ve got to get to bed, it’s nearly 10pm, and that’s late for this old girl! Such a harsh reality when 10pm becomes late, but what can ya do? I’m headed home for the weekend and Father’s Day, so you can be sure there are goodies to come.